according to our requirement and execute the samples with load of number of users. 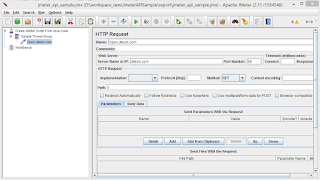 As jmeter tool is fully developed by using JAVA, We can write the java code to do the same without using the GUI of the jmeter, Its not advisable to implement the java code for the load testing, its just a proof of concept to write the samples by java code using the jmeter libraries. Jmeter as very good documentation/APIs, After going through the jmeter source code and other reference resources, wrote the following sample code. 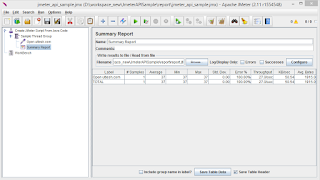 Prior to understand following code we must have basic knowledge of the how jmeter works. Loop Controller will execute the samples number times the loop iteration is declared. Thread group elements are the beginning points of any test plan. All controllers and samplers must be under a thread group. Other elements, e.g. Listeners, may be placed directly under the test plan, in which case they will apply to all the thread groups. As the name implies, the thread group element controls the number of threads JMeter will use to execute your test. 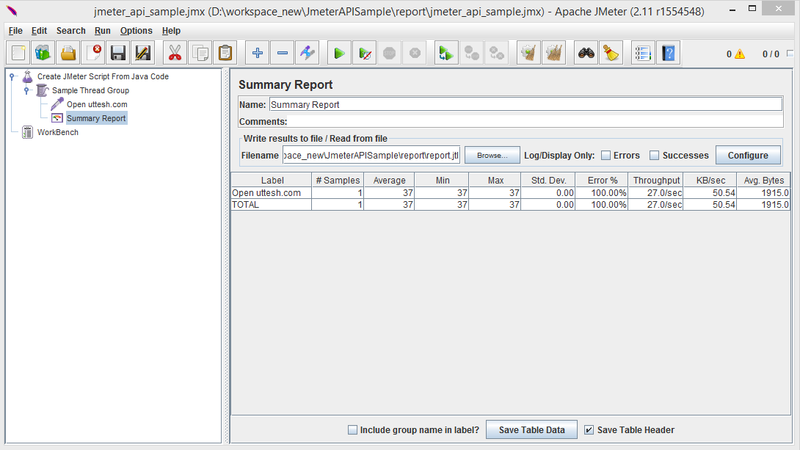 above code will generate the jmeter script which we wrote from the code. 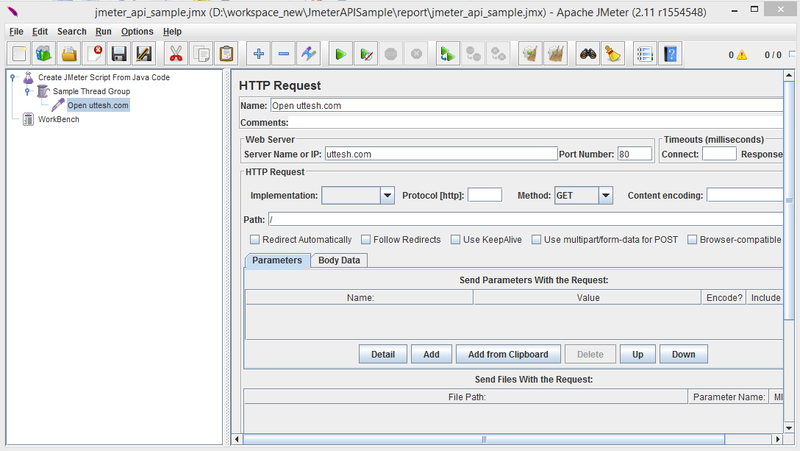 Generate JMX sample file by code and opened in jmeter UI.